Hobby farmers don’t fit neatly into a stereotype. Some are retirees who are living on pensions and finally have the time and energy to devote to a lifelong passion, raising animals or growing vegetables and running a small-scale farm. Others are young professionals who want to devote their weekends and mornings to animals and vegetables, but who have careers in areas other than farming, and see their hobby farm as just that – a hobby in addition to their careers. Many people do not fall into either category, but still, consider the farming they do to fall into the “hobby” category. According to statistics nearly half of all farms sold in a recent year were bought by non-farmers. This was said to be “consistent with the new trend of buying houses in the country with 20-60 acres of land — more than a garden, not quite a fully-fledged farm. A house with a large garden can be a mini-hobby farm, with vegetables, poultry, rabbits and a few hives of bees. An acre of land will support a couple of milking goats or some pigs, and once the hobby farmer is operating on a 2-3 acres he/she can think of poultry free-ranging in an orchard or a mini-flock of sheep. Doubling the area makes it possible to keep a cow and calf, and increasing it again to 10 acres finds space for some cropping in support of the livestock (hay and forage crops) and a worthwhile mixed orchard with apples, plums and other fruit. Another category that has really grown in recent years is rescuing animals. It may be dogs, cats or even horses. You need to make sure you are able to care for these animals before you commit to their care. Do you take a lot of vacations? Do you like to be responsibility free on weekends? If so, you will need to figure out who will take care of these pets during those times. Larger animals, like horses or other outside animals are more labor intense therefore require more attention. Over all, having animals can be very rewarding. 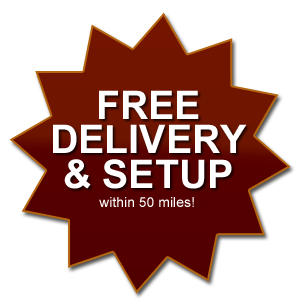 Here at Hilltop Structures, we are happy to be of service to many of you Hobby Farmers. Whether you have chickens, goats, donkeys, horses or other pets, we are more than willing to sit down with you and design a barn that will meet your needs and accommodate your livestock. The need for animal shelters exists all year round to keep your animals safe from the elements. Recently, we had a couple order three large barns for their eight rescue horses, and we just finished up a goat barn from another order. Don’t worry if you have procrastinated getting a barn for your animals, we will do our best to get right on it for you. 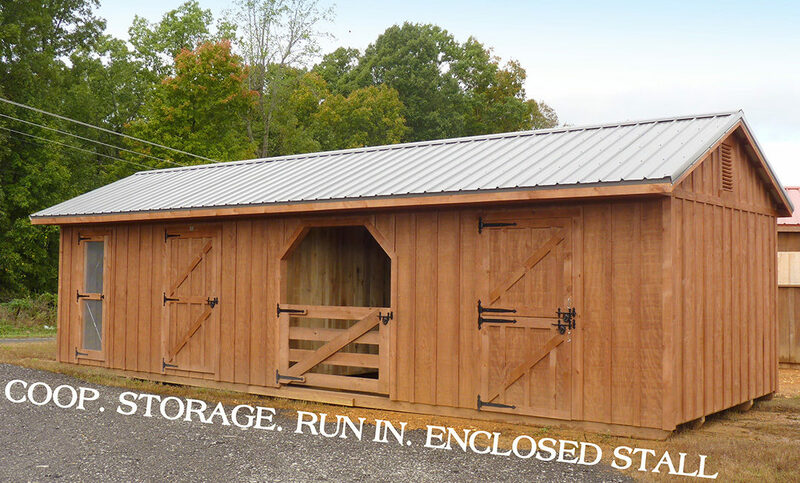 Come check out our horse barns / Combo barns, you will be glad you did.